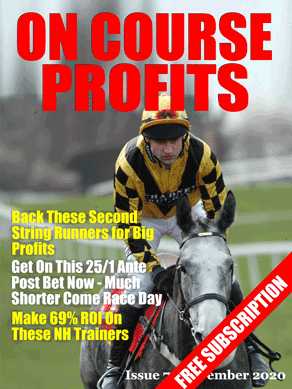 Today we have our regular column from Nick Hardman of Betting School Insiders who has pointed us at some big priced winners since he started contributing. Not long ago we highlighted William Haggas as a trainer to follow at Musselburgh. He has had just 11 runners at the track since 2010 and 5 have won, including three of the last four. In fact he is 1-1 in 2012, 1-1 in 2013 and 1-2 in 2014. We also highlighted the fine strike rate that Alan Swinbank has up at Musselburgh with his handicap runners over 1m to 1m 6f. Since 2010, he has had 47 runners in 1m to 1m 6f handicaps and 12 have won giving him a strike rate of 25.53% and a level stakes profit of +20.25pts. His string is in fine form at present and his last 7 runners at Musselburgh have finished 5113211. The Betfred Sprint Cup is the feature race on Saturday at Haydock and I have looked at the profiles of the winning horses since 1997. Horses aged 3 to 5 have won 15 of the last 17 renewals and 14 of the last 17 winners were rated 109+. Since 1997, 13 winners arrived here on the back of a top 3 finish, 15 winners have come from the top 6 in the betting and 14 winners had previous winning form over 6f. Interestingly, 13 of the last 17 winners had run over further than 6f. Just one horse ticks all those boxes and that is Henry Candy’s Music Master @8/1. Favourite Sole Power has never won over 6f, whilst Gordon Lord Byron falls down on the age stat only. Those that tick all the boxes except for being in the top 6 in the betting are Professor @66/1, Es Que Love @20/1 and Baccarat @25/1, all of whom are available at big odds. Today Nick Hardman of Betting School Insiders Club takes a look at key trends for both jockeys and trainers at the Newcastle meeting. We landed a nice winner and a few placed finishers at decent odds last Friday and this week we head off to Newcastle. The three trainers of interest are Michael Dods, Richard Guest and Tony Coyle who boast course strike rates of 16%, 16% and 19%. If we dig a little deeper we can improve on those statistics by targeting certain races and certain types of horse. Trinity Star is the only 3yo handicapper from those horses listed above. Paul Mulrennan takes the ride on Escape To Glory, Blackfoot Brave and Trinity Star. He has ridden 3 winners from 5 rides for Michael Dods at Newcastle since 2012. Connor Beasley takes the ride on Dartrix and the Dods/ Beasley pairing have combined well this season including two winners from their last 4 starts. Penalty Scorer (2yo), Sakhalin Star (3yo) and Hazza The Jazza (4yo) will all be ridden by Duiilo Da Silva who claims a useful 5lbs. Richard Guest’s last 5 runners at the track have finished 21112. Snoway is perhaps his most interesting runner stepping up into handicap company for the first time after showing some ability in 3 maidens so far. She finished 4th on both her first two outings in Class 5 company before finishing a disappointing 10th of 12 in a Class 3 at York. However, anything saddled by Michael Dods is worth a second look in the market whilst Tony Coyle’s horses look to be the outsiders in our list, especially Shirocco Passion who has shown nothing in 3 runs this year. Everybody wants to make risk-free bets. That’s the dream. Being able to profit from a few hours “work” a week whilst having 0% risk. In the past there’ve been two ways of doing this. The first was arbitrage and the second was welcome bonuses. But both of them have their problems. Arbitrage requires you to have accounts with every bookmaker on the planet, you need a huge bankroll and you have to buy expensive software to make sure you get on all the bets available. Oh yeah, and you also have to sit in front of your computer all day, every day to make sure you don’t miss one! Not really the dream lifestyle we’re looking for. Until… you run out of new bookmakers that you can take advantage of with their welcome offers. Well most people just stop. The really dedicated will move to using bingo and casino offers. But once again you need to have a large bankroll. In fact, one such service recommends a minimum of a £3000 bankroll! Well… now there is, and I was shown it by Michael Wilding. Anyway, Michael asked me to take a look at his approach to making risk-free bets and, of course, I did. What I found was a way to make £200+ every month, in just an hour or two a week and using a tiny £300 bankroll! As if that wasn’t enough, he only uses twelve of the biggest bookmakers to do it. So there’s no opening hundreds of bookie accounts. You see every week bookmakers put offers in place to their current customers. These offers are designed to entice you into betting more with them. Usually they take the form of free bets or higher odds, but it does vary. What Michael is doing is to look at the offers that are being put into place and… working out how he can trade them out to make a guaranteed profit. I’m going to give you an outline of how this works. Most of the time it requires two of what Michael calls Cycles. The first Cycle is designed to qualify you for the free bet. You see bookies are clever, they don’t just give you the offer, you have to place certain bets in order to get the free bet (or whatever the offer is). What’s clever though is the staking. Because this is calculated in such a way that it guarantees you a profit whatever happens! That’s pretty awesome, because on average we’re making well over £15 risk-free profit on these bets. Anyway, after getting the bets for a while I wondered if I should do it myself. After all, it doesn’t sound that complicated. But, as always with Michael, what he made easy for me to follow was much harder to work out myself. You see he just emailed me when there was a new trade possible, posted the details in my members area telling me exactly what to bet on, which bookmaker, how much to bet and what to bet on Betfair for each of the cycles. Oh yes, there’s usually a few days between each of the cycles as well so there’s no rushing around to catch the bets. By the time I’d read through all the terms and conditions, either they wouldn’t work for risk-free betting or the profit was so small that it wasn’t worth the time. And I spent hours trying to work it out. Now I know that Michael’s a pretty busy guy, so I was wondering how the hell he managed to find the bets that were profitable and make them work every time? Well, there was only one way to find out. Turns out that he has a team working with him. They monitor all the offers that bookmakers release and then they read through the terms and conditions to make sure they’re valid, before working through his strict conditions to make sure the bet is profitable. If it is, then they let Michael know so he can tell his members about it (and place the bets himself). What this means is that tens of man hours of work each week is boiled down to around one hour of bet placing to make £200+ every month. It’s one of the best risk-free services out there I’ve tried and it ticks all my boxes. If you want to check it out then Michael is also offering an insane trial. You can read all about it here.